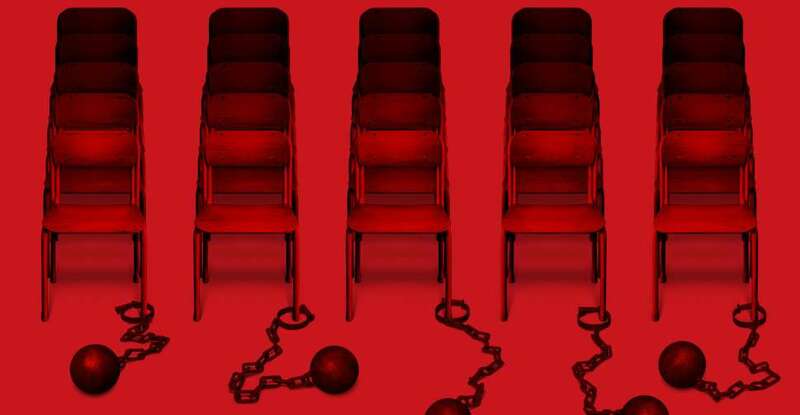 Glixel recently held an interview with Atlus audio director and composer Shoji Meguro, and character designer Shigenori Soejima about their work on Persona 5. When you began work on Persona 5, what directions, if any, were you given in creating the music and the art? Shoji Meguro, audio director: I wasn’t given any specific directions from the producer. 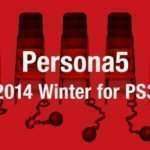 The producer for Persona 5 is [Katsura] Hashino. I’ve worked with him for a long time and I feel we have worked together long enough that he trusts me. He gives me full reign over the music of the game, so I worked with no particular direction from the producer. So in creating the music, is it like creating music for a film? Do you write the music alongside the development of the game, or do you make the music independently of the game? Meguro: We start making demos quite early in the development cycle. The team comes up with the scenario, the script, and the overall environment before we start to provide them with early demos. Simultaneously, the art team will be creating the visuals for the game. Once the overall storyboard is completed, we add the music and make adjustments to visuals and audio accordingly. That’s the general process. Is the music suppose to match the style of the game or the game audience? I didn’t realize Japanese high school students were into acid jazz. Meguro: I’d say 20 percent applies to the market, and 80 percent to the game. Ideally, I’d really like to make the music match 100 percent to the milieu of the game, but Persona 5 is part of a series, so we need to take into account the fans of the game. How many songs did you write in all? Some songs must have been left on the cutting room floor. 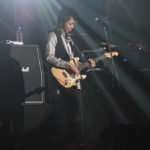 Meguro: We also had other composers working on the game and music that didn’t make it to the final cut. I’d say maybe 80 percent of the music in the game was composed by me – I think about 70-80 songs. There was a lot that wasn’t used in the game, as well. I number the music files on my computer, and it went up to 97 for Persona 5. So, I wrote 97 songs for the game and, roughly, 70-80 of them were used in the game. 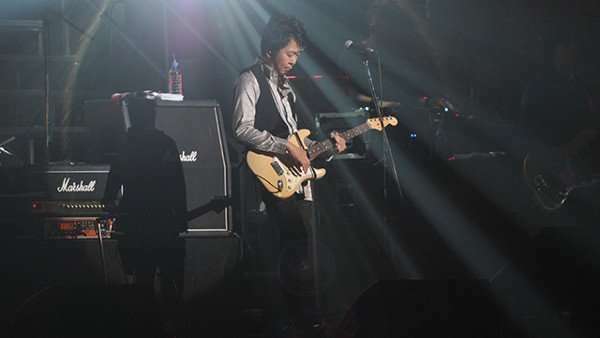 Persona series composer Shoji Meguro at the Persona Super Live 2015: Night of the Phantom concert on February 5, 2015. You frequently use English lyrics in Persona tracks, particularly in the battle themes. Is this because you’re aiming at an International audience, or do you just like the way words sound in English? Meguro: Apologies to the Western gamers, but to Japanese gamers, because many Japanese don’t speak the language and they don’t understand the lyrics, the English lyrics blend in as background music. The lyrics are not distracting to the gamer, so it’s convenient to use as background music. If the lyrics were Japanese, the players would probably find the music too distracting from the game. Also, [some things] just sound cooler in English. 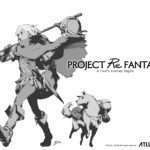 Mr. Soejima, were you given any specific direction for the game from the Mr. Hashino? What sort of guidelines were you working with? Shigenori Soejima, character designer: Obviously I can’t design the characters for the game without the scenario and storyline, so I was given very detailed instructions from the producer. The details of the story are not finalized until later in the process, but once the themes and general vision of the game is decided, I started working on the visuals to provide a color scheme and visual direction for the game. The producer talked to me about how he envisioned the overall feel of the game with explanations of – I think – about three characters. There wasn’t a story, yet, but he said he wanted to create a game about these high school characters. That’s where the character design started. 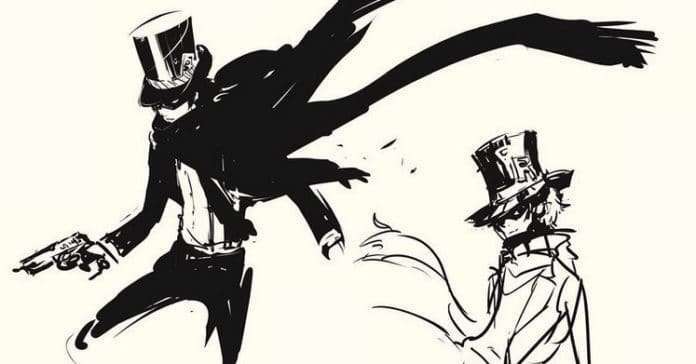 Early Persona 5 concept art by Shigenori Soejima. Could you give us an insight into your creative process in designing the main characters? Everyone’s wearing a similar uniform, so you’d have to make these distinctions primarily in their faces. Soejima: As you mentioned, the characters are all wearing uniforms, so it’s challenging to design them to look distinctly unique. We use the battle scenes, where they transform into different costumes, and summon their personas, to accentuate their differences. We also have a consistent color for each of the characters. Given that Persona 4 is a PS2 game, the jump production quality between it and Persona 5 is immense. Was it a tremendous workload for you? Soejima: Yes, of course. Not only for myself but for the whole team. At the same time, the level of detail and realism that’s possible for the PS4 is that much greater, so in this way, it is much more rewarding. With Persona 4, I didn’t have as much control over the tone or feel of the visuals. For this project, I had to have a very clear vision of what I wanted, or else I would end up with a very mediocre drawing. So, I feel I spent a lot of time and energy and a lot of trial and error trying to figure out how to develop an efficient working process. Mr. Meguro, the Persona 5 soundtrack has 110 tracks on it alone. How are you able to produce such a significant quantity of music without the quality suffering? Meguro: [Laughs] Time was on my side. We were working on this title for about three years so I had a lot of time to make the music. What was the most fun thing for you on the project? What was the least fun? 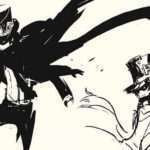 Soejima: I’ll say what wasn’t fun first. It was exhausting! Because the development cycle was long? Soejima: Yeah. When [the development cycle] is short, you can ride the momentum and the game hits the market quickly, you get instant feedback from the players. How do I say it – it’s easier to read the market and find out what is expected from the market. But the longer it takes for the game to hit the market, you start to lose confidence in what’s expected of you. You start to question your instincts and go back and forth on decisions. It’s harder to see the truth [when you’re caught up in the project]. It takes more energy to pull through and stick to your original vision without being swayed. That was the hardest part. The best part was when the game was finally released and seeing the positive response from the public, particularly when they saw the characters and said, “It’s not bad.” This was the most rewarding experience. Mr. Meguro, Persona Live concerts are incredibly popular in Japan. 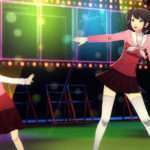 What would it take to bring a Persona concert to North America? Meguro: I think there’s a lot of things that go into performing a live concert in the US or Europe, but I don’t think Persona has the fame or popularity overseas to attract an enough of a crowd for a concert. If there was more hype online and greater overseas sales – particularly if Persona 5 sold more copies – I’d be happy to bring the live concert overseas. I, personally, would love to do it. Read the full interview on Glixel.